They have designed a low-temperature ‘Super Flex’ surface course , which removes the need for the common need for two separate treatments, delivering treatment in one go, saving money and time. 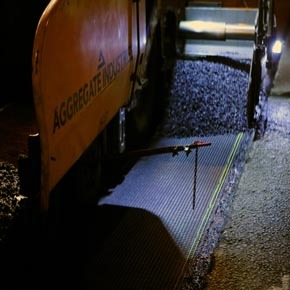 Aggregate Industries trialled the new SuperFlex in March 2017, resurfacing the A3 Kingston Bypass, one of the busiest roads in South London. The trial saw SuperFlex help reduce the time needed to complete the project by 55 percent. Martin Freeman, Area Manager for the South East Contracting at Aggregate Industries said: “Our product development team has developed a revolutionary product in SuperFlex. 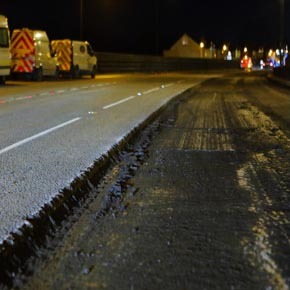 The impact this could have on reducing roadwork repairs across the UK road network is immense judging by the results of from the A3 trial.